Dr. Natasha Howard contributes to "Black Women and Social Justice Education: Legacies and Lessons," a new book to be released this month. 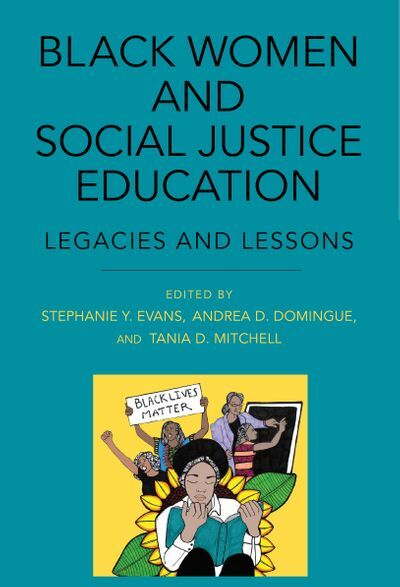 With the focus on black women’s experiences and expertise in a range of educational settings, this book aims to advance educational philosophy and provide practical tools for social justice pedagogy. Linking historical accounts with groundbreaking contributions by new and rising leaders in the field, this book examines, evaluates, establishes, and reinforces Black women’s commitment to social justice in education at all levels. Authors offer resource guides, personal reflections, bibliographies, and best practices for broad use and reference in communities, schools, universities, and nonprofit organizations [Suny Press]. In her exposition entitled, "The Reproduction of the Anti-Black Misogynist Apparatus in U.S. and Latin American Pop Culture," Dr. Howard addresses the use of media and certain elements in popular culture to propagate the humiliation and suppression of black women in the U.S. and Latin America as Good entertainment.